Image Blocker lets you block all images, and visual elements. You can allow a page to show images by adding it to the white list. Some websites are added by default, but you can add or remove items at any time. 1. Allows you to block all image contents (including flash objects) in all web-pages. 3. 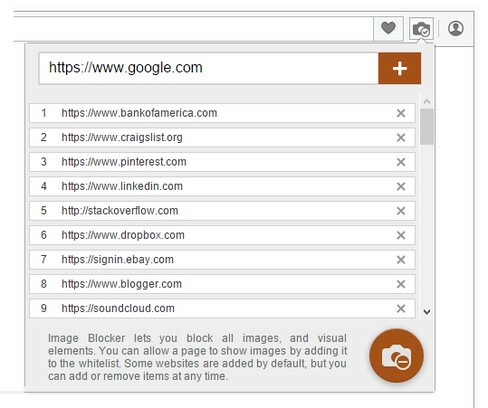 Add or remove websites to the white list from toolbar popup. Note: In order to report Bugs, please visit Addon's Homepage(http://mybrowseraddon.com/image-blocker.html) and fill the Bug report form.